The Limerick Quilt Centre are running their 9th Annual River of Dreams exhibition in the Franciscan Church, Henry St. Limerick from the 10-15th June. EQA Festival of Quilts has a closing date of 10th June with a size restriction of 30x30 cm without binding. The theme for Ireland is the Winter Garden. Piosala & Cuilteala Quilt exhibition on Inis Oirr from 29 June to 13 July at the Aras Eanna Arts Center. 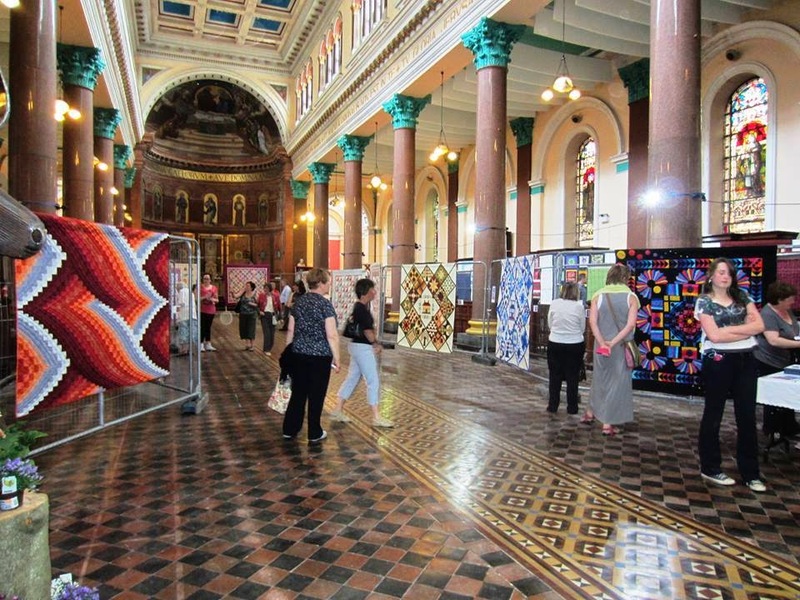 Octagon Quilters exhibition in Westport Custom House Studios and Gallery from 31 July through 24 Aug.
RDS National Crafts Competition: deadline for online applications is closed but the competition is open to the public, free admission on July 30th and 31st and on August 1st. Work will still be on display during the Dublin Horse Show 6th to 10th August but an admission fee will apply. 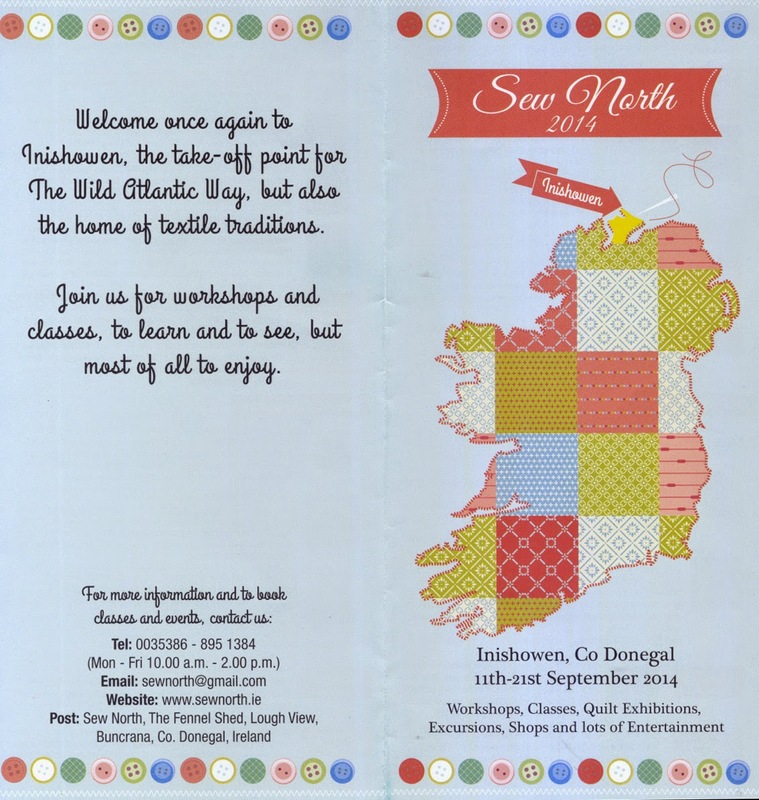 Sew North Quilters Gathering organised by The Fennel Shed is on from the 11th to the 21st September with lots of workshops from hand quilting to curved piecing and folded patchwork. It's way up at the tip top of the country too so could be worth a trip in and of itself! If there is anything we've missed out in your area please let us know.